Samuel Austin Worcester was the plaintiff in the Worcester v. Georgia case of 1832 which was taken to the United States Supreme Court. Worcester lived among the Cherokee and was their missionary and translator of the Bible. The “messenger” was born in Vermont, in 1798, as the son of a minister, the Rev. Leonard Worcester, and was the seventh generation of preachers in the family whose pastor’s history dated back to the ancestors who lived in England. In his youth, Worcester learned to print from his father and later worked as a printer in the town of Peacham. He attended common schools and in 1819, graduated from the University of Vermont, with honors. Boudinot was educated in the schools in New England and was the nephew of the Cherokee leader and member of the Cherokee National Council, Major Ridge. Just a few years earlier, the syllabary for creating a writing system for the Cherokee language was developed by the Cherokee silversmith, Sequoyah. It was a great achievement as nobody else before him had created such a system. Before, Sequoyah and his people admired the “Talking Leaves,” the name the Cherokee used to refer to the European American newspapers. With this achievement, it was easy for Boudinot to think about publishing the first Native American newspaper in the country. 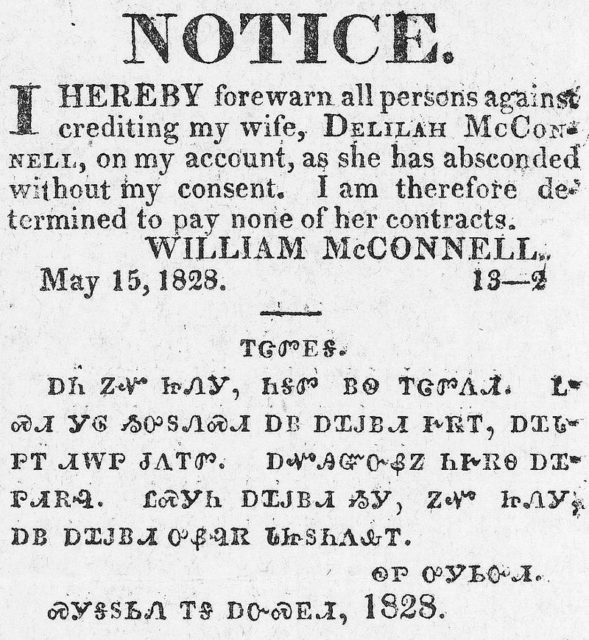 Bilingual notice in English and Cherokee, published in the Cherokee Phoenix, May 15, 1828. He asked Worcester to contribute with his experience in printing which the minister willingly agreed to do and hence, the Cherokee newspaper was established. 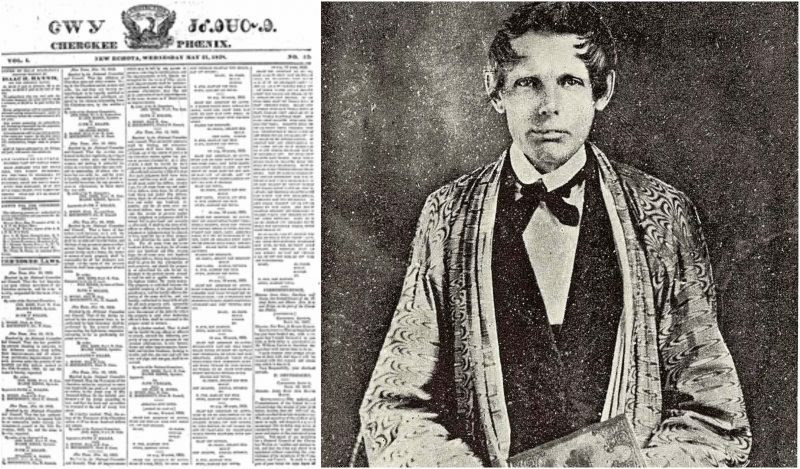 Worcester believed in the educative power of the newspaper, helping the Cherokees’ literacy and as well the ability to bring the whole Cherokee community together by promoting their nation. 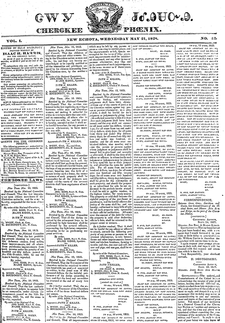 Worcester’s prospectus for the paper promised that it would publish not only the “news of the day” but also articles on Cherokee customs and manners, and laws and documents of the Cherokee Nation. Worcester also helped in the financial support of the magazine, i.e., he managed to secure funds that were used in building a printing office and for all its expenses: the printing press and ink, and also for the casting of the newly invented 86-character syllabary. 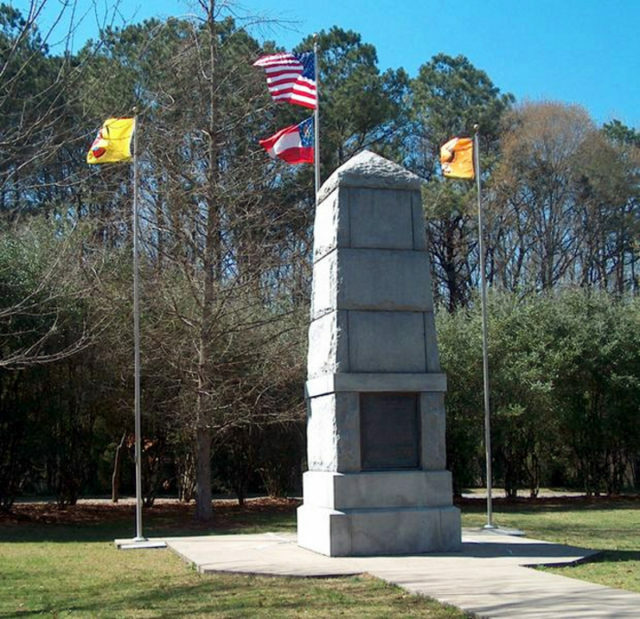 The first Native American newspaper, “Cherokee Phoenix” was rolled for the first time on the 21st of February, 1828, at New Echota (now Calhoun, Georgia). After this, the missionary was honored with the Cherokee name “A-tse-nu-tsi”. In 1830, a new law in Georgia was brought into being, according to which all white men were prohibited from living on Native American land without a license. Along with eleven other missionaries, Worcester published a resolution in protest of the law, arguing that by restricting the settlement of white people in Cherokee territory, the State is surrendering the sovereignty of the Cherokee Nation to rule and manage their own territory. However, as soon as the law took effect, the militia, ordered by the Governor George Rockingham Gilmer, arrested Worcester and all the rest who signed the resolution and refused to get a license. 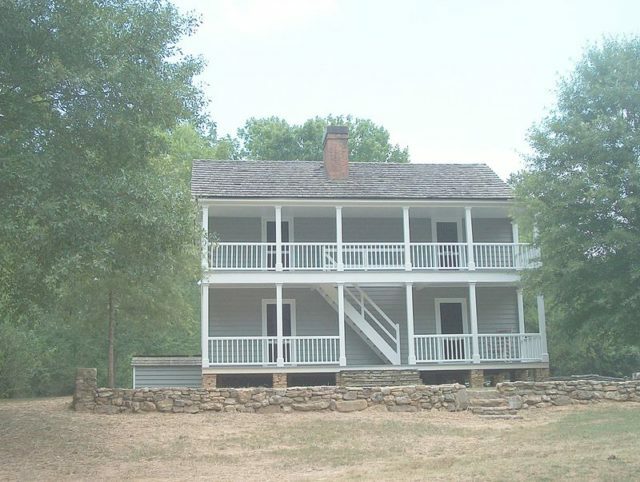 There were two series of trials during which all eleven men were convicted and sentenced to four years of hard labor at the state penitentiary in Milledgeville. Except for Elizur Butler and Worcester, all nine men accepted pardons. Butler and Worcester didn’t in order that the Cherokee could take the case to the Supreme Court. So, that same year, Worcester became the plaintiff in the case Worcester v. Georgia. 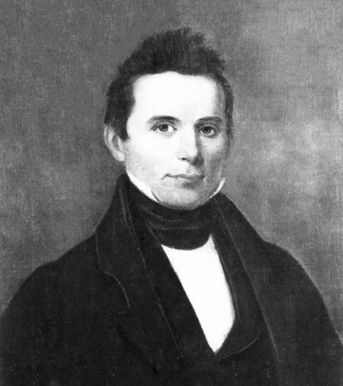 But, even though William Wirt argued the case, a legal counsel by the state was declined with the claim that there is no Indian who could drag it into court. In the meantime, Governor Gilmer continued to hold Butler and Worcester as prisoners. In late 1832, a decision was brought according to which the federal government was the only body that had authority to deal with Indian nations, especially because the Cherokee Nation was independent. 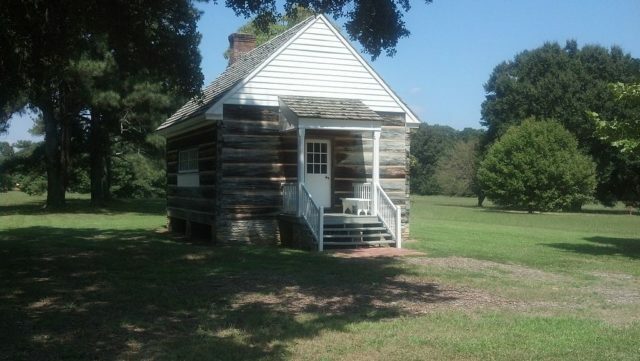 However, although the Cherokee’s sovereignty was recognized above the state laws by the Chief Justice John Marshall, both Governor George Gilmer and President Andrew Jackson ignored the ruling. Worcester received a pardon from the subsequent governor and left Georgia with the intention of never going back. However, in 1836, in the period of the Cherokee removal on the Trail of Tears, “the messenger” moved to Indian Territory. He continued working with and for the Cherokee until his death. He translated the Bible into Cherokee, worked on publishing the newspaper, and also established the first printing press in that part of the U.S. 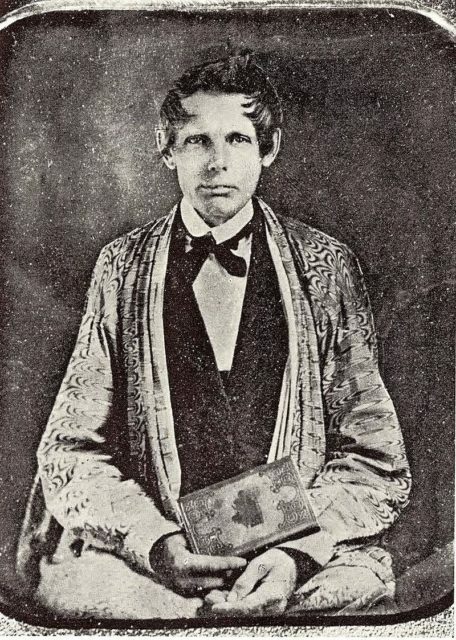 He and Ann had seven children, of which the first born, Ann Eliza, became a missionary and founded Nuyaka Mission in the Indian Territory, with her husband, William Schenck Robertson.